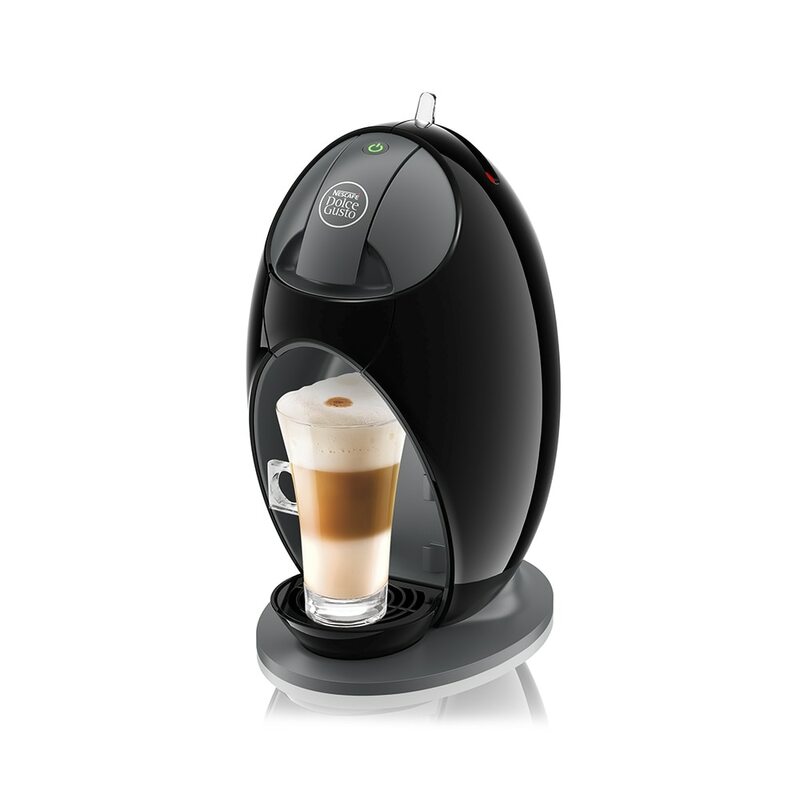 NESCAFE® DOLCE GUSTO® (“Nestlé”) is committed to maintaining trust with users of our Website. The terms below govern your use of the Website. You expressly agree Nestlé and our affiliated companies and business units (collectively "we", "our" or "us") may collect, use and disclose your personal data for the following purposes: to provide you with products and services; consumer research, to verify if you qualify for our membership, promotion or contest which you may participate in from time to time; and to provide you with benefits of our membership, promotion or contest which you may participate in from time to time. We may share your personal data between ourselves for administrative purposes, and with third parties supporting our administrative and business functions. In some cases, this may involve the storage, use, disclosure or other processing, or transfer of your personal data out of Singapore. Third parties receiving your personal data will be bound by requirements under the Personal Data Protection Act 2012 to protect your personal data. Where you have given us your consent, we may also contact you by telephone calls and phone messaging for product updates, sales and promotions which we believe will be of interest to you. If you wish to withdraw consent to any specific use of your personal data, you may do so by completing the withdrawal form available online at www.dolce-gusto.com.sg under the “Unsubscribe” tab. By placing an order with us online you agree to be bound by these terms and conditions (“Conditions”) which shall apply to all items advertised on the website at www.dolce-gusto.com.sg (the “Website”). Please read these Conditions carefully. You should print a copy of these Conditions for future reference. If you do not accept them, you will not be able to order item/s from the Website. By placing an order through the Website you warrant and represent that: You are legally capable of entering into binding agreements; and You are over 21 years of age. An order placed by you is an offer to purchase our goods, and is only binding on us when we accept it. We have the right, at our sole discretion, not to accept any orders placed by you. We will confirm our acceptance of your order by sending you an order confirmation email, at which point a contract between us will be formed. Bulk orders from the trade or consumer groups will not be accepted. If we are unable to supply you with goods, for example because such goods are not in stock or no longer available or because we cannot meet your requested delivery date or because of an error, mistake, anomaly and/or system glitch on our site (including any errors on the pricing, specifications and any associated promotions), we will inform you of this by e-mail or phone call. In such a case, your order will not be fulfilled. If you have already paid for the goods, we will refund you the full amount including any delivery costs charged as soon as possible. We may terminate your order at our sole discretion and without cause (even after our acceptance of your order), at any time within 30 days of our receipt of your order, by giving you such termination notice via your registered email, address or mobile number. Upon such termination, your order will not be fulfilled. Any payment made by you under such terminated orders will be refunded, and we will not be liable to any person for any claims, losses, costs and expenses incurred in respect of such termination. The items indicated as for sale in this website are available for sale at the prevailing Singapore dollar prices indicated on the website. These prices include GST only where expressly indicated, but do not include postage and delivery to locations in Singapore. We reserve the right to terminate our agreement with you and any order placed by you, without any liability to any person, if we are refused authority for payment or reasonably believe that payment will be refused at any stage, if the order placed or if you breach any of the terms of this agreement or applicable laws. Delivery will be made to the address specified by you when you register on the website, provided the address is within Singapore. Unfortunately we do not deliver outside of Singapore. You have the ability to change this address through the “edit profile” feature and during the confirmation stage at the checkout. It is your responsibility to ensure you are available to receive the delivery. Upon preparation of your order within four(4) to six(6) working days from receiving your order, our logistics provider, Goodship will deliver your items to your specified address. If you are not at home to receive your items, Goodship will will contact you directly to reschedule your delivery. Please note that an order can be rescheduled up to 2 times. If you have already rescheduled your order twice and the third delivery attempt is unsuccessful, we reserve the right to charge a redelivery fee of $11. For any orders under the value of SGD 60, delivery will be charged at SGD 11. For orders that have a total equal to, or more than SGD 60, delivery charges for the first delivery attempt to your registered delivery details will be waived. Any subsequent re-deliveries will be subject to delivery charges which you agree to pay to the logistics provider. Charges are subject to prevailing GST. You must inspect the goods and notify us of any defects in materials and workmanship within 7 days of receiving the delivery by contacting our customer services hotline: 1 800 836 7009. We will attempt to troubleshoot over the phone before offering a 1-for-1 exchange. Notifications after 7 days will be troubleshoot over the phone before advising you to bring your machine to our service centre. Save for the standard manufacturer’s warranty terms applicable for the specific Nestlé product purchased under this Agreement, all other warranties, conditions, terms, undertakings and obligations implied by statute, common law, trade usage, or course of dealing are excluded to fullest extent permitted by law. In particular, warranties relating to merchantability, fitness for purpose, satisfactory quality and/or compliance with description are excluded. Any cancellation will not be entertained and you will have to accept the delivery of the item/s. If you want to return the items you will have to adhere to our return policy to receive your refund and it must be officially approved by our Consumer service officer. We will refund the value of your purchase minus the applicable cancellation charges and delivery costs as stated on the Website, on the condition that you return the item/s to us in the original packaging and undamaged condition at your expense within 30 days from the scheduled date of delivery (calculation includes the scheduled date of delivery itself). If you cancel your order of the item/s after you have received it/them, we will refund the value of your purchase minus the applicable cancellation charges and delivery costs as stated on the Website, on the condition that you return the item/s to us in the original packaging, undamaged & resellable condition at your expense within 30 days from the scheduled date of delivery (calculation includes the scheduled date of delivery itself). From time to time, and, at our complete discretion, purchases of goods may be subject to special offers. Price off Promotion Codes issued by NESCAFE Dolce Gusto require a minimum basket size of $60 after applying the code to ensure Free Delivery, unless otherwise stated. The minimum purchase for Free Delivery is $60. This agreement and all matters in connection therewith shall be governed by Singapore law and the parties submit to the exclusive jurisdiction of the Singapore courts. We have the right to amend these Conditions from time to time. You will be subject to the terms and conditions in force at the time that you place on order, unless any change to such terms and conditions is required by law or government authority. All notices given by you must be sent by post to our address. Attention to Dolce Gusto Consumer Services, Nestlé Singapore (Pte) Ltd, 15A Changi Business Park Central 1, #05-02/03 Eightrium @ Changi Business Park Singapore 486035. Notices will be deemed received and properly served by us to you within 5 working days of posting of such notices by us. Notices may be posted in the Website, sent via email or through the post.